If you have ever had dry spaghetti meatballs then you might agree that dry meatballs have an unpleasant texture. 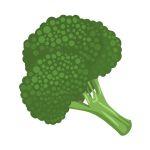 Often in the way of trying to improve our health we might opt to use 90% lean meat instead of 80%. 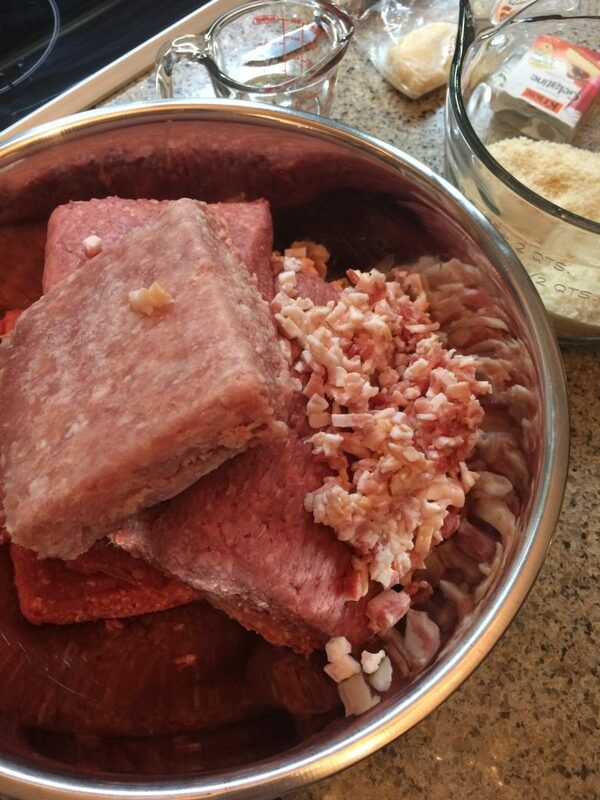 Using 80% lean meat though won’t entirely solve the problem of being dry alone, we need to add more fat and flavor to the meatballs with some bacon or prosciutto. I prefer bacon, because it increases the flavor with some smokiness. 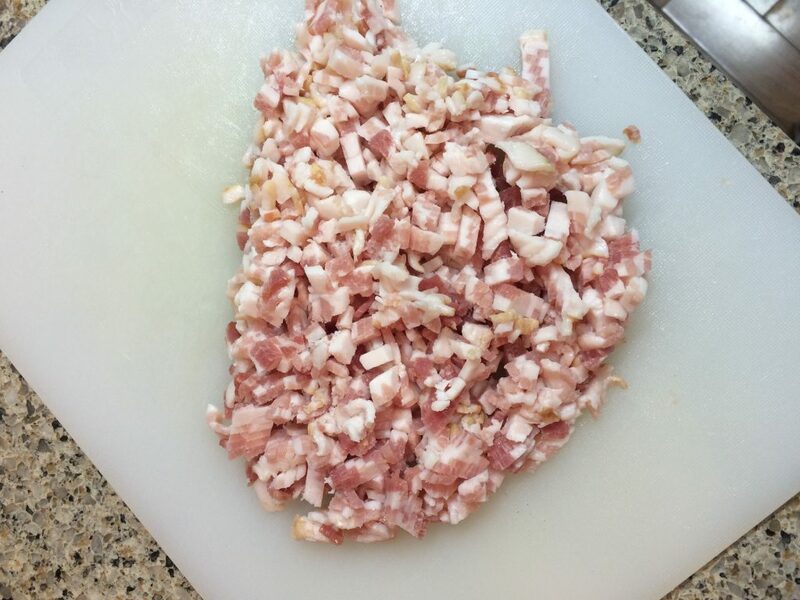 We are not going to use a lot of bacon, only a small amount to increase the flavor and fat content. I have found that just one ounce of bacon per pound of meat is plenty. That’s roughly 6% of the total. As if bacon wasn’t enough, we now put cheese? The answer is yes, but we also use this in small quantity. Specifically, my recipe calls for parmesan cheese, but you could also use another hard cheese such as Romano. The cheese adds depth to the texture of the meatball and helps add more savoriness to the end result. I have found that some people use cheese in their meatballs, and some dont. The meatballs I’ve had with cheese always taste better. There’s three more ingredients that go with this recipe that we want to share with you. 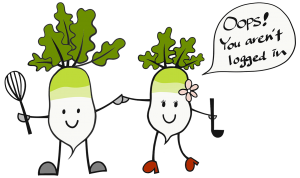 We reserve our best tips, tricks, and secrets for registered members or people who will share our content. Please either login or create a free account by registering or simply use a social media account to shrare. Gather the ingredients for making spaghetti meatballs. Measure all the ingredients before you begin. Then read the tricks found here. 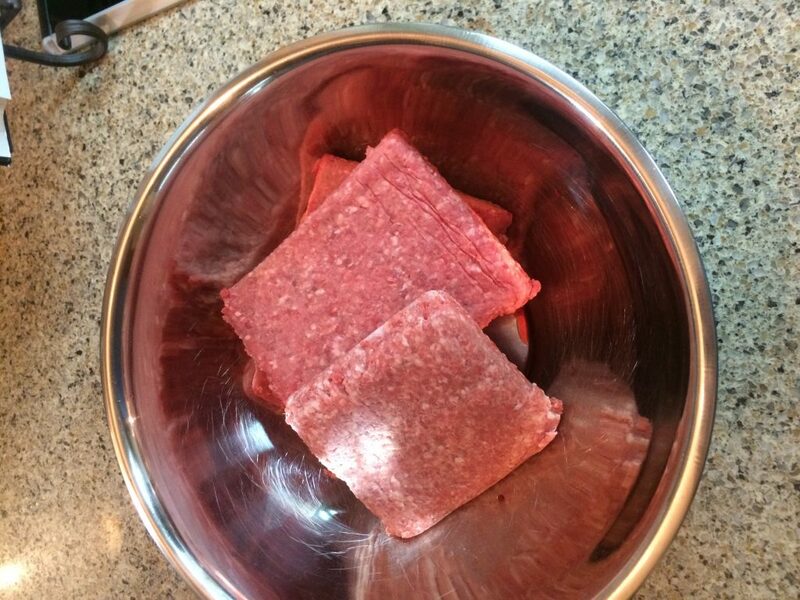 Place the ground beef and ground pork in a large mixing bowl, but do not mix yet. Dice the bacon to 1/4in (5mm) or less. Chef Hack: put the bacon in the freezer 30 minutes before this step and chop the bacon frozen and it will be easier to cut. Add the bacon to the mixing bowl, but do not mix yet. 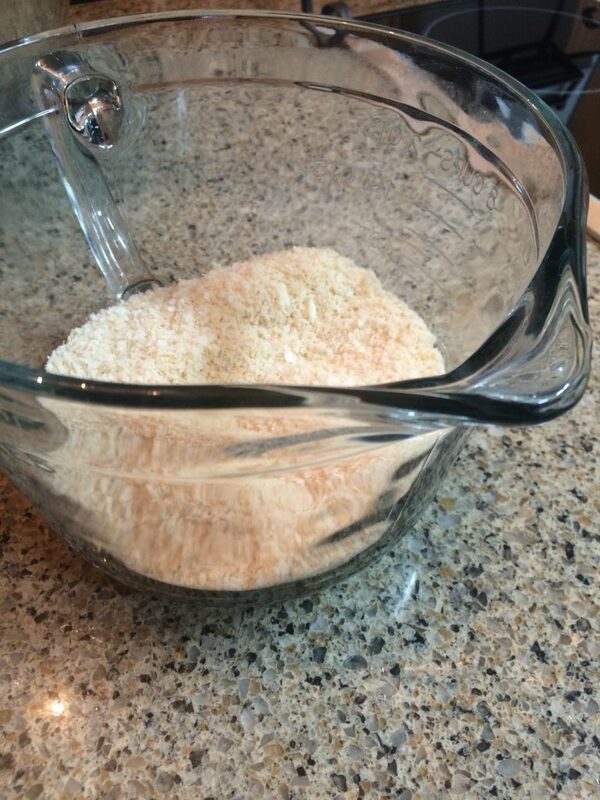 Put the bread crumbs in a large measuring cup or mixing bowl. Add buttermilk to the bread crumbs, and let soak for 5 minutes. Chef Hack: if you don't have butter milk, you can cheat by adding a tablespoon of lemon juice to regular milk. 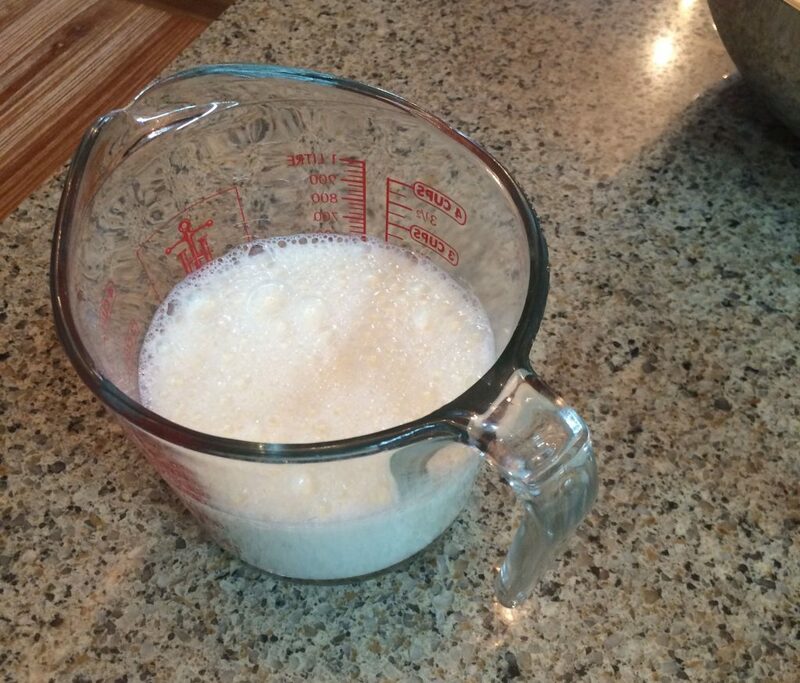 The ratio is 2 tsp (10ml) to 1 cup (235ml) milk. So for this recipe use 1 tbsp to the 1 1/2 cups milk. 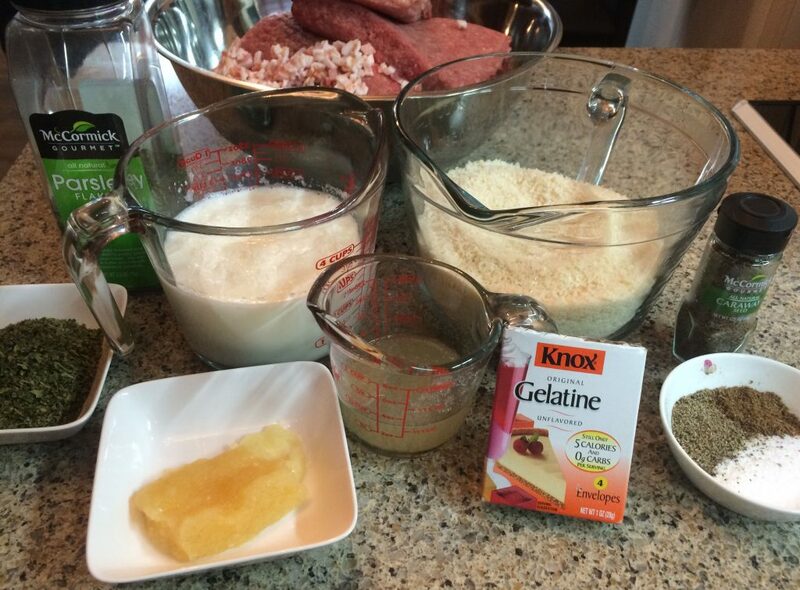 Dissolve the gelatin in 1/4 cup (60ml) water for 5 minutes. 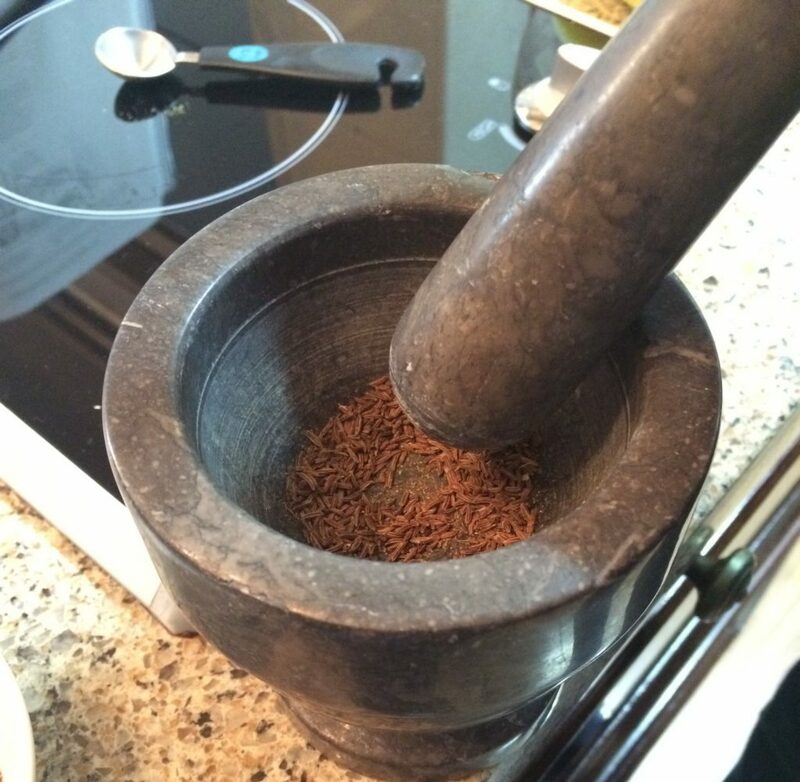 Use a motar pestle to grind up the caraway seed. Preheat oven to 400F (205C) degrees. Starting with the spices, sprinkle all the spices over the meat, spreading them out as much as possible. Add the garlic, spreading it out as much as possible. Add the bread crumbs, spreading it out as much as possible. 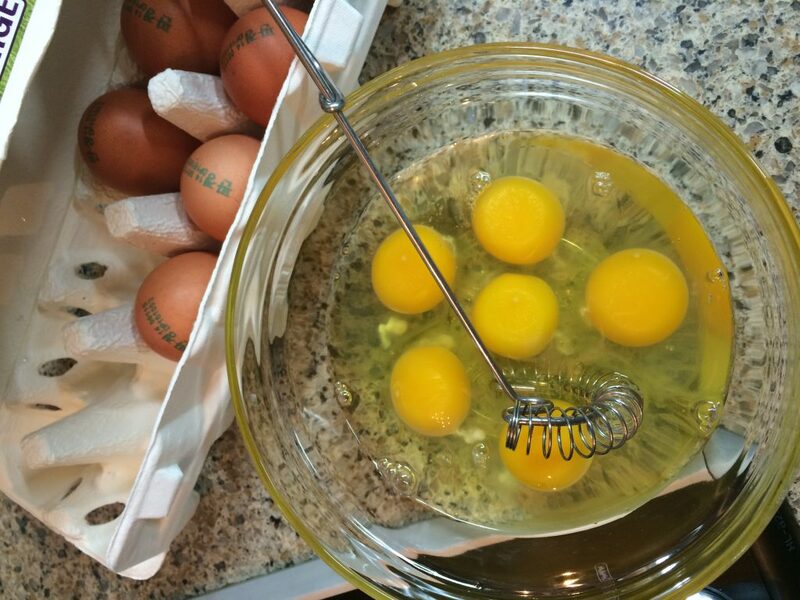 Finally, add the whipped eggs. Wear food safe gloves and mix all the ingredients by hand only to the point that everything is throughly combined. Try not to over mix, over mixing will lead to dense meatballs and less desirable texture. 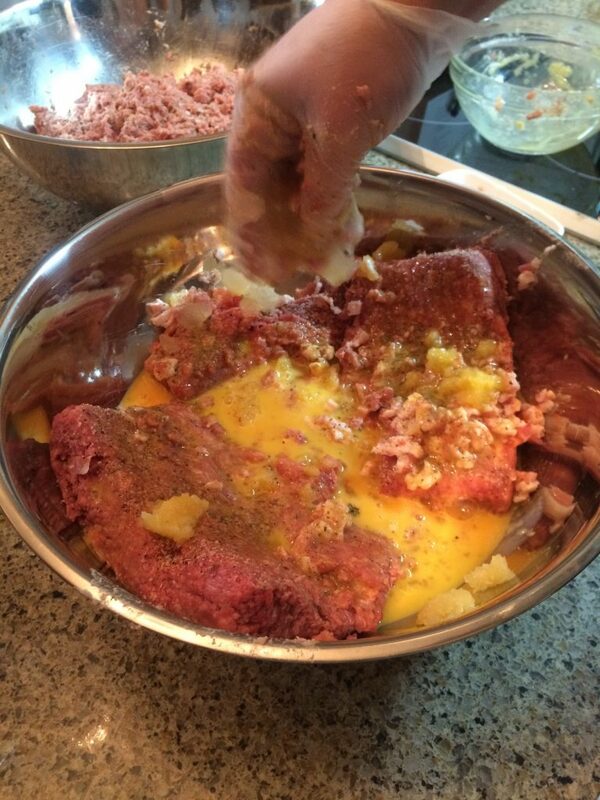 Throw away the gloves after mixing, they will have too much meat stuck to them to make meatballs. With a new pair of food safe gloves. Form meatballs with hands to about 1 1/2 inches or two finger widths. 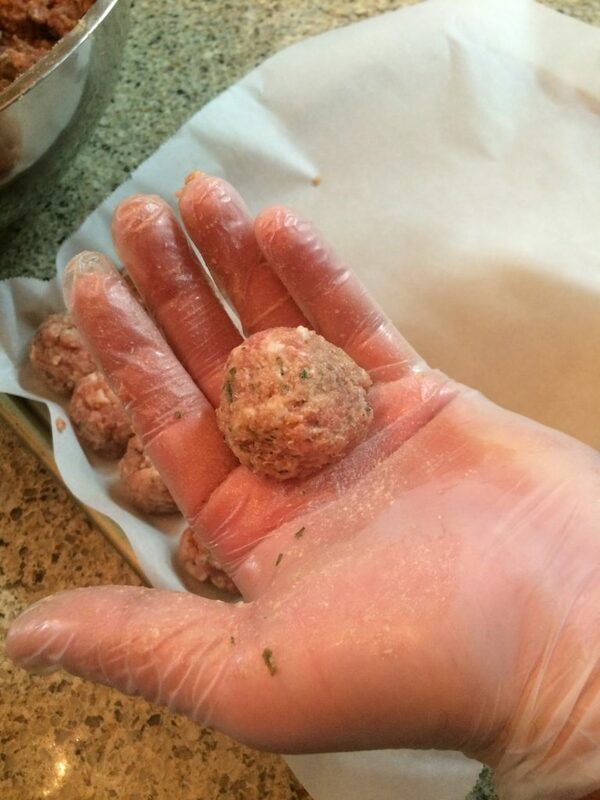 Rolling the meatball between your two hands to create a uniform ball. 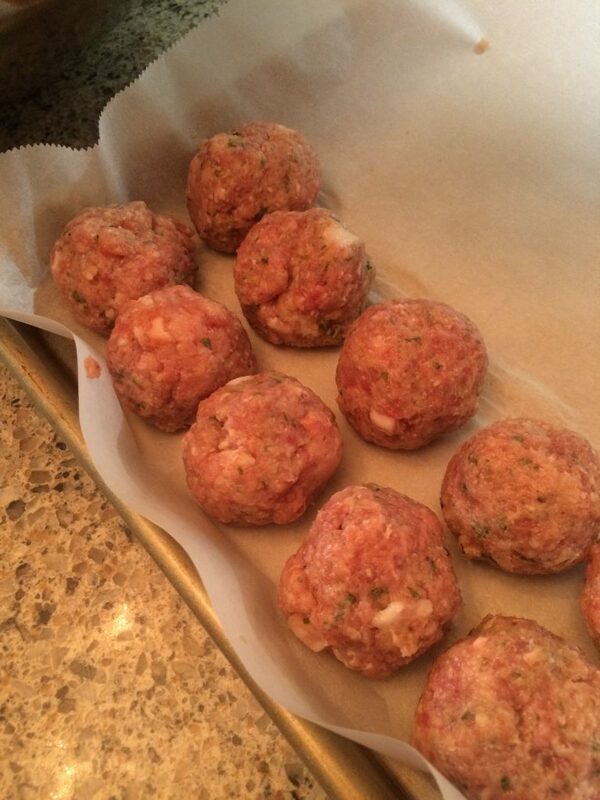 Line a baking sheet with parchment paper and place the meatballs close to each other with out touching one another. Place full pan of meatballs in the oven for 30 minutes, use a wired temperature probe stuck in one of the meatballs to monitor the temperature of the meatballs. The meatballs are done between 175F (80C) to 180F (82C). Serve with your favorite spaghetti sauce. The nutrition information provided below is based on a serving size of 4 meatballs per person. 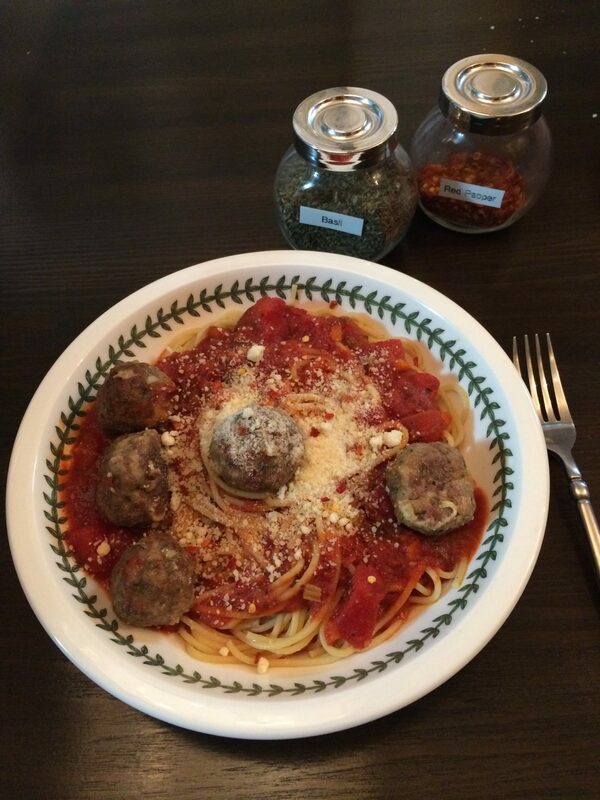 Be sure to prep all the ingredients ahead of time and before beginning to make meatballs. 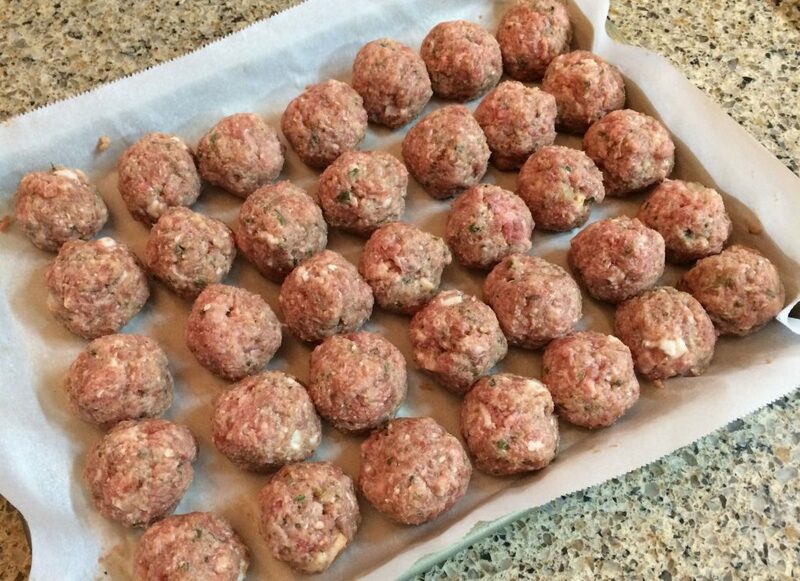 You don't want to forget something along the way, and I have found it the best practice to prepare and measure all the ingredients before you begin to make meatballs. When you mix the ingredients together you want to mix everything together at once to minimize mixing. You want to mix the ingredients only to the point that everything looks combined thoroughly. Over mixing leads to dense meatballs and less desirable texture.